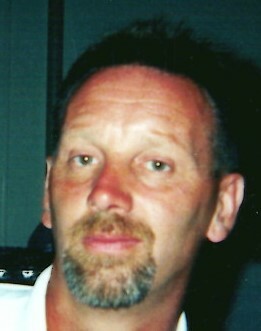 Jason Everette Curtis, Sr., 54 father of 2 of Wadsworth passed away march 21, 2019 surrounded by the people he loved after a year long battle with cancer. Jason was born November 19, 1964 in Akron to Lynn and the late Lynette Curtis. Jason was a humbled, simple man finding most of his enjoyment in bird watching, hiking, spending time with his children, and work family. He was a hardworking man who loved his job, he drove a cement mixer for 13 years at Medina supply in Cuyahoga Falls. He truly enjoyed the little things and loved the beauty of the outdoors. He was a apart of various softball and basketball leagues for many years. His free spirit, quick wit, and goofy outlook on things radiated to anyone that knew him. He will be deeply missed by so many, we will carry his memory in our hearts always. Jason is preceded in death by his mother, Lynette Curtis; grandparents John and Flossie Lee; uncles, Clarence Lee, Stephen Lee, and Robert Curtis; aunt Hazel Lee (Albert) Caputo. He is survived by his children Jason Curtis, Jr.; and Nichole Curtis; father, Lynn Curtis; sisters Julie and Tammy Curtis; brothers John (Anna) Curtis and Lynn Curtis, Jr.; niece Cheryl Curtis; nephew Bryan Curtis; aunt Violet Eubank and numerous cousins. Family will receive friends 2-5pm on Saturday, March 30, 2019 at the Hilliard-Rospert Funeral Home, 174 N Lyman St., Wadsworth, OH. Early preparation provides confidence knowing that your needs have been addressed and your wishes will be followed as you have requested.